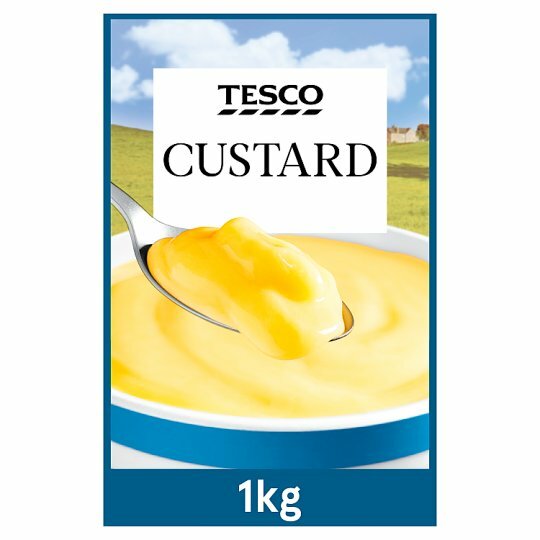 Reconstituted Skimmed Milk, Reconstituted Buttermilk (Milk), Water, Sugar, Modified Maize Starch, Palm Oil, Milk Proteins, Coconut Oil, Flavouring, Stabiliser (Sodium Triphosphate), Colours (Annatto, Curcumin). Contains milk. Allergy Advice! For allergens, see ingredients in bold. Instructions: May be served hot or cold. Empty contents into a non-metallic bowl.